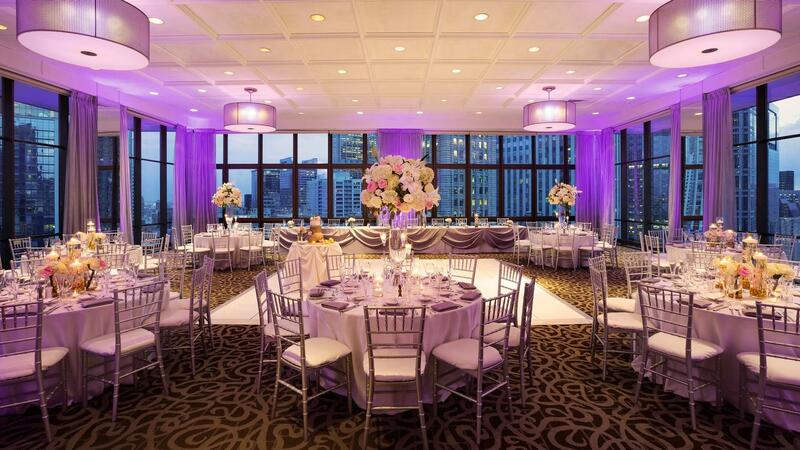 Rent Wyndham Grand | Corporate Events | Wedding Locations, Event Spaces and Party Venues. With sweeping views of the city skyline and Chicago River and plush oversized hotel rooms and suites, Wyndham Grand Chicago Riverfront provides the ideal home base for exploring our great city. with the latest modern amenities like complimentary high-speed Internet access, iPod docking stations and 37-inch plasma screen TVs. This year we were awarded TripAdvisor's 2015 Certificate of Excellence, an honor that reinforces our hotel's commitment to offer guests a consistently outstanding experience. We welcome you to stay with us and experience an unparalleled level of service and amenities.